This October will mark the bicentenary of Ada Augusta Byron, otherwise known as Ada Lovelace, often called the first computer programmer. Among the many events happening in Oxford this autumn, the Bodleian Libraries and IT Services are hosting a series of half-day workshops which hope to make a record-breaking impact on Wikipedia’s infamous gender imbalance. As in previous years, there will be an edit-a-thon to create articles related to women in science and to wish happy birthday to Ada Lovelace with celebratory cake. This will happen on Tuesday 13 October. It will include an introduction to wiki editing, so is suitable for new and experienced wiki editors. To book, visit http://courses.it.ox.ac.uk/detail/TWOHA. This year we are also running three related events. All four events are open to members of Oxford University: just book through the link above. We are also seeking experienced Wikipedians to help with the training. Even if you are not connected with Oxford, you can take part on-wiki; welcoming the new users and helping make their experience a pleasant one. Monday 12 October will be the first ever transcribe-a-thon. We will look at Wikisource, the free library, where out-of-copyright books are transcribed using Optical Character Recognition and manual correction. During the event we will create an electronic edition of a book that can be used as a source for Wikipedia articles. This is an opportunity to learn basic wiki editing without having to worry about the many policies and guidelines affecting original text on Wikipedia. Professor Ursula Martin will give an introductory talk on Ada Lovelace and her role. For booking info, see http://courses.it.ox.ac.uk/detail/TWOHD. Wednesday 14 October will be an improve-a-thon: we will look at Wikipedia’s quality scale and system of open review, and improve existing articles by adding facts or citations or by accessibly rewording. This will be suited to people who have edited Wikipedia before. To book, visit http://courses.it.ox.ac.uk/detail/TWOHC. Thursday 15 October’s event is an image-a-thon: we will look at how Wikipedia articles are illustrated, using images from cultural institutions, from out-of-copyright books or personal collections. We will look at Wikimedia’s database of 27 million digital media files. With newly-uploaded images, we will illustrate articles on the week’s theme. No photography is required and this event is suitable for people who have never edited wikis. To book, visit http://courses.it.ox.ac.uk/detail/TWOHB. The image-a-thon is an opportunity that Oxford’s libraries can support. College libraries may have photographs of alumnae, staff, or perhaps relevant art or manuscripts. We hope that some of these images can be made available under a Wikipedia-compatible licence for use in articles, with attribution. We will be uploading images of Lovelace herself which have not existed in digital form before. 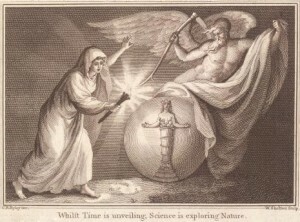 We are interpreting the ‘women in science’ theme broadly, not just writing and improving biographies of women — living or dead — in professions related to science. There are also articles about books, or about scientific innovations and theories, where women’s contributions could be better represented. We will provide suggestions for target articles, as well as online and offline resources to help improve them. Each of these four events looks at open knowledge from a different angle. If you can only make one, sign up for one, but if you want a broad hands-on experience of improving open knowledge, come to all four. Dr Martin Poulter, the Wikimedian In Residence at the Bodleian Libraries, will lead the training but welcomes experienced wiki editors who can make things easy for newcomers. If you fit that description, please get in touch at martin.poulter@bodleian.ox.ac.uk. Over the coming months, the University of Oxford will celebrate the 200th anniversary of the birth of computer visionary Ada Lovelace. The centrepiece of the celebrations will be a display at the Bodleian Library (13 October – 23 December 2015) and a Symposium (9 and 10 December 2015); other events including Wikipedia editathons, hackathons and workshops. For more information, please keep an eye on this website, where we’ll be listing events and other news. Those of you with an interest in Ada Lovelace will want to tune into a number of upcoming programmes on BBC Four and Radio 4 – mark your calendars! Georgina Ferry presents the correspondence of Ada Lovelace, dramatized by an all-star cast. Uninterested in Ada the feminist icon or crazy fantasist, she reveals the intense inner world of a young Victorian lady who anticipated our digital age, when steam power was still the new big thing. In this new film, Dr Hannah Fry tells the story of Ada Lovelace. Born in the early 19th-century Ada was a countess of the realm, a scandalous socialite and an ‘enchantress of numbers’. The film is an enthralling tale of how a life infused with brilliance, but blighted by illness and gambling addiction, helped give rise to the modern era of computing. In this clip from the film, Hannah Fry explains that Ada’s real claim to fame was that she was the first pioneer to realise the true versatility of computers. 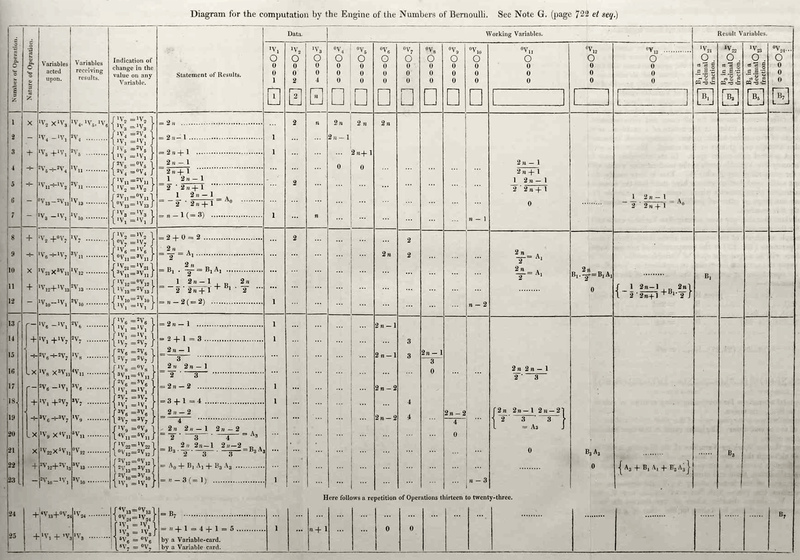 At the heart of our celebrations is a display at the Bodleian Library, 13 October – 23 December, with Ada’s exercise books, childhood letters, correspondence with Charles Babbage, a newly found daguerreotype, and a wonderful new archive discovery showing computational thinking in action – Lovelace, Babbage, magic squares and networks. To see all of our events (more added all the time! ), visit blogs.bodleian.ox.ac.uk/adalovelace/events/. Oxford is also hosting a Symposium and dinner, a series of Wikpedia events, a 3D printing hack, a schools competition and magazine – and BBC programmes too. At our Symposium on 9 and 10 December you can hear world experts on Lovelace, Babbage, and computing and cultural history: there is an additional student workshop on 8 December as well as a birthday reception and dinner on 9 December featuring a pre-dinner address by Lovelace’s descendant the Earl of Lytton and an after dinner speech by philanthropist Dame Stephanie Shirley. We’ve also lined up a series of Wikipedia events, a 3D printing hackathon and a children’s hackathon, and Somerville College are celebrating Lovelace and Women in Science on 16 October. For schools, our friends at The National Museum of Computing are holding a ‘Write a letter to Ada’ competition and there will be a special Ada Lovelace edition of the award winning schools magazine cs4fn from QMUL (http://www.cs4fn.org). Further afield, there will be a Lovelace exhibition at London’s Science Museum. BBC4 will screen a new film about Ada Lovelace at 9pm on 17 September, and Radio 4 will air readings from Lovelace’s letters at 11 am on 14 and 21 September. Further UK and international celebrations are listed by the Finding Ada team at http://findingada.com/. The deadline for proposals to speak at the Ada Lovelace Graduate Workshop has been extended to MIDNIGHT, FRIDAY 18 SEPTEMBER. As well as topics suggested in the call for papers, we welcome abstracts related to any aspect of Lovelace’s work and legacy, and further afield. This might include papers on early nineteenth-century mathematics, female mathematicians, and scientific networks.